8hr Buzz Energy Shot is a one ounce liquid energy shot designed to deliver a full energy boost. With zero net carbs, zero sugar and only 5 calories per pouch, 8hr Buzz Energy shots also come in various delicious flavors. Each pouch contains a host of B and C Vitamins, and other essential nutrients. I was sent four of the 8hr Buzz Energy shots to try in these flavors Peach Passion Fruit, Coffee, Berry Blast & Grape. The shots are very portable and easy to take. The taste is a little to be desired. I don't care for the way these shots tasted. My son liked the taste but my husband did not. I think these are a taste you will either like or you don't. The enery I got from the shots was enough to keep me going through my night so I could get my work done. It took about 5 – 10 minutes to hit me but when it did I was full of energy and had a hyper feeling. Overall the product did work. Disclaimer: I got the 8hr Buzz Energy Shots free to do this product Review and was not paid for my response. 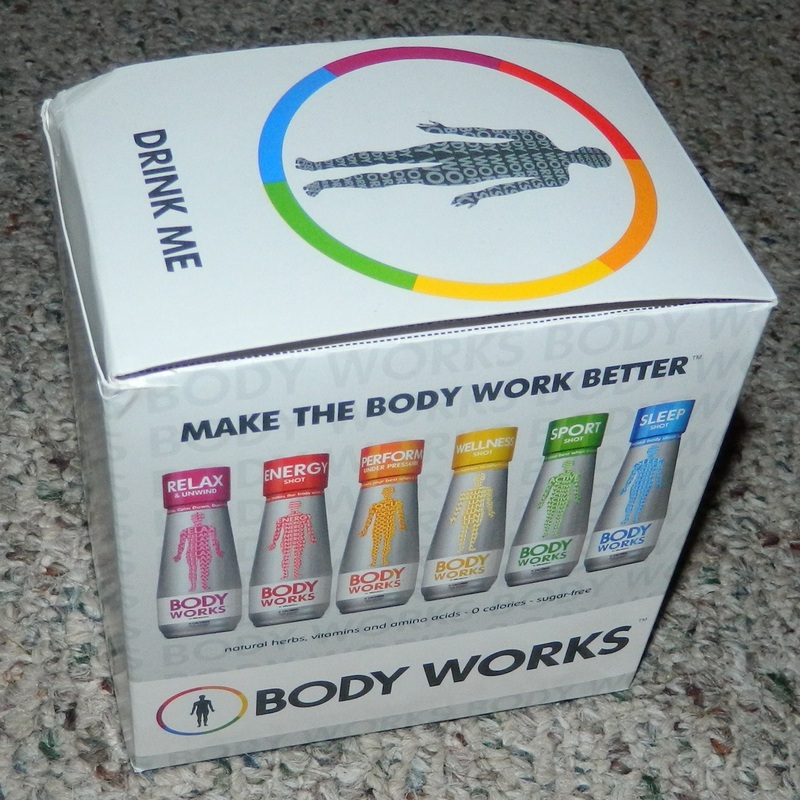 BODY WORKS™ is a functional beverage company. We have a staff of doctors and nutritionists, along with fitness experts who advise and oversee our formulations. After years in the beverage industry, the award-winning company – RELAXZEN – developed BODY WORKS™. We realized there was more to life than just, well…relaxing. After some time in the lab, we found ourselves working night and day to help every body work better. I got a 6pk of one of each to try. I got the Relax which my husband liked because it helped him wined down on Sunday night so he could get a good nights sleep to start off the work week. On Sundays when he wanted to get right to sleep he would take the Sleep shot and he was sleeping within 20 minutes. The Sport and Performance shots worked great on the weekends when hubby needed the extra push to keep awake at night and active with the family on the late weekend nights. With every getting sick in the over the last month hubby took the Wellness shot to help him ward off and cold & sick germs so he didn't get what we were all having. The Energy shot is not in the picture as my hubby took it before I got the picture of the whole 6 pk. My husband took the energy shot at lunch break at work to help him through the rest of his work day. Hubby liked trying all the shots but his 2 favorites were the Relax & Energy. These two are ones he can see himself taking on a regular basis. Disclaimer: I got the Body Works Shots free to do this product review and was not paid for my response.